How to use all the energy from your solar panels! If you're one of the 1.89 million Australian households with solar panels on your roof or you’re shopping around for solar panels the most important thing to keep in mind is you’ll get the most out of your solar panels by consuming the energy they produce while it’s being produced. This is referred to as ‘solar self-consumption’ and is the key to getting the best return on your solar setup, reducing your power bills and making yourself independent from rising electricity prices. But what is solar self-consumption? Why you should self consume your solar power? And what can you do to be able to operate your washing machine with solar power? What is solar self consumption? Solar self-consumption is the act of using/consuming your solar energy to run devices within your household. Provided that you have a net (aka bi-directional energy meter), this will happen automatically when appliances are switched on in your home while your solar setup is producing energy. Why you should self consume your solar? If no one is home or around to use electricity during the day and devices haven’t been scheduled to come on, then whatever solar energy is not used is automatically sent back into the grid, you can see this in the graph below. The blue areas represent household electricity, while the orange and green area represent a solar setup’s production. The orange areas above the blue line represent excess solar energy being exported to the grid, while the blue on its own is electricity being purchased from the grid. The green area is where the solar energy meets your home’s energy needs. Unless you’re on a Legacy Plan, the rate you’ll be paid for excess solar energy ‘exported’ into the grid is generally very low. This means you could pay up to 52c for your electricity but only make 12c from sending your solar energy back to the grid. You basically have no reason to send you solar into the grid, clearly a strong incentive to self-consume your solar energy. How to self consume your solar power? Solar self consumption is the key to solar savings. When there's no one home during the day to use you your ‘excess’ solar energy, there are a number of ways you can self-consume. 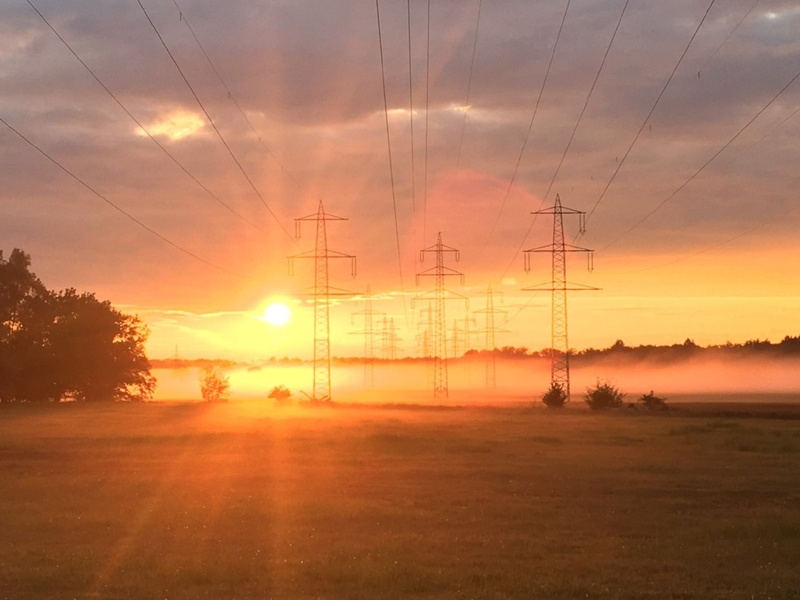 Maximise your consumption of the electricity you produce with our four tips! On sunny days set timers during the day to get the most out of your solar setup. Timers are a low cost way to coordinate appliances to come on during times of excess solar. A home energy management system (HEMS) is a device that uses both hardware and software to help you to manage and control your household’s energy usage. HEMS track and record when your household uses electricity using hardware installed at your house and software connected via the Internet. You connect and interact with it via your computer or an app on your smartphone or tablet. The hardware is usually installed next to your home’s electrical switchboard and acts as a communications hub relaying messages from your home to you, and sometimes to your electricity company. The software monitors and records all the ingoing and outgoing data and communications. So every time you switch on a light or turn on the dishwasher, it's recorded and translated into an easily read format, usually via a smartphone app or on your computer. You can use this information to manage your household's energy for times when you have excess solar energy. A HEMS like Reposit lets you monitor your energy consumption, track when your panels are producing energy and can predict when you have excess energy. So you know when you should try to reduce your energy consumption, and control your solar. Reposit even sends you notifications through your Reposit smartphone app if your solar setup is predicted to have at least two hours of cheap energy available allowing you to take advantage and self consume your excess energy. When you’re not at home your smart home technology can automatically turn on your power hungry appliances when you have excess solar energy, allowing you to self consume. Reposit is constantly helping you to manage your solar and battery setup. Reposit knows when you’ll have ‘cheap energy available’. Either when your battery is full and you are still generating a lot of solar energy or if you only have solar, when your panels are generating more electricity than your household is using. Reposit can automatically tell your power hungry appliances (if they’re connected to smart home technology like a smart plug or smart appliance) to turn on. And the best bit is that you have all the control from your smartphone, laptop or computer. 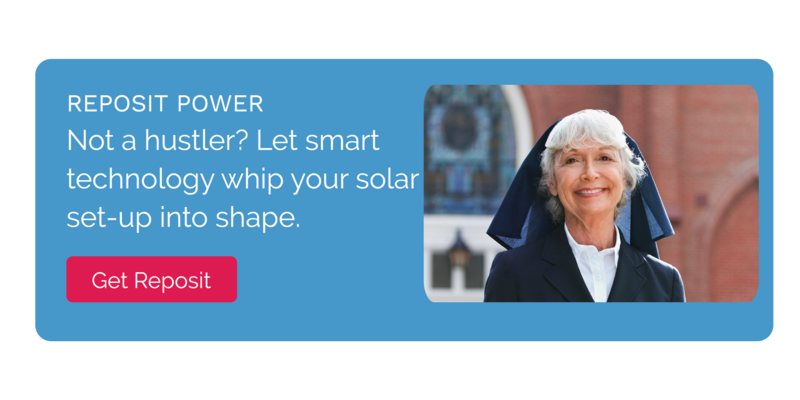 Learn more about how you can link your solar battery setup with smart home technology to not only reduce your power bill but self consume your solar power! Most of us tend to use electricity in the morning, and then again in the evening. When no one is home to use electricity during the day, all the solar energy generated from your setup disappears into the electricity grid. By adding a solar battery any solar energy you don’t use during the day to power your home can be stored for later. Instead of sending your solar energy back to the electricity grid, with a solar battery you can store it for use at night. Not all solar battery setups are equal. Learn how a Reposit Powered solar battery setup can help you self consume your solar power and be less reliant on the electricity grid.